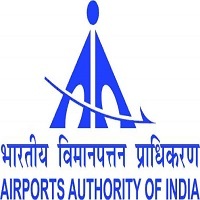 AAI Jobs Recruitment Notification 2019.Airports Authority of India inviting applications for the positions of Engineer/Consultant.Interested and Eligible candidates can apply for the positions. Last Date for Submission of Application is on February 11th, 2019. 1. Eligibility: The candidate should be an Engineer (Electrical) retired from AAI, other PSUs and Central /State Government Departments. The minimum experience should be of ten (10) years in the relevant fields. The eligible candidate should be clear from Vigilance/Disciplinary angle at the time of retirement. In this regard, the candidate has to submit supporting document from his previous Government Department. 2. Duration: The duration of engagement of Consultant shall be for six (06) months which may be further reviewed and extended by another six months as per requirement. a. The Consultant, irrespective of the level of officer, shall be responsible for estimation, construction & site supervision, Quality Control and Quality Assurance, record of measurements, preparation and certification of bills etc., complete for all Engineering works. b. On engagement, the Site Engineer/Consultant shall be under administrative control of the Airport Director of nearest AAI Airport and under Technical control of GM(Engg) posted at the nearest Airport/Regional Head Quarters. c. The Authority with regard to writing/signing/submission of statement for the work assigned /to be assigned, to the Consultant shall be of Airport Director, or duly authorized AAI official. The Consultant shall not write any letter any of the Authority inclusive of Central/State Government at his own. Age: The Retired Officials should be medically fit and age not more than 63(sixty three) years as on 01.02.2019. General Manager(HR), Airports Authority of India, Regional Headquarters, Southern Region, Operational Offices Complex, Meenambakkam, Chennai-600027. The appointment of retired govt. officials as Consultant would be made through advertisement on AAI website. The appointment of Consultant will be on full-time basis and they would not be permitted to take up any other assignment(s) during the period of consultancy.The selection of the candidate will be done as per the prevailing AAI Policy. Interested candidates may send their application through e-mail gmhrsr@aai.aero and in hard copy in the specified format (Annexure-I) on or before 11.02.2019 at the following address. General Manager(HR), Airports Authority of India, Regional Headquarters, Southern Region, Operational Offices Complex, Meenambakkam, Chennai-600027.